What was the Solar System’s mysterious interstellar visitor last week? Last week, something unusual was detected moving through the Solar System, a small object which didn’t seem to behave like any known comets or asteroids. In fact, its behaviour suggested that it originated from outside of our Solar System. So what was this mystery interloper? While not 100 percent identified yet, it seems to be an interstellar asteroid or some similar rocky body. A/2017 U1 was first discovered on Oct. 19 by the University of Hawaii’s Pan-STARRS 1 telescope on Haleakala, Hawaii. At first, astronomers thought it was probably a comet, but photometric analysis by telescopes showed that it lacked a coma, even as it was getting closer to the Sun. This suggested it was rocky and with little or no ice, and the observations also showed that the surface is quite red in colour, similar to some rocky objects in our own Kuiper Belt. 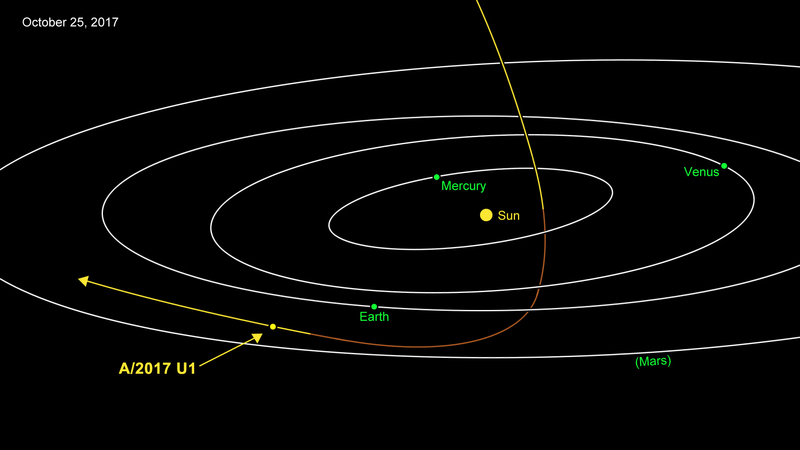 The object, now called A/2017 U1, was less than 400 metres (a quarter-mile) in diameter and moving remarkably quickly. It was also moving on an extreme trajectory, perpendicular to the orbits of the other planets, “above” the ecliptic. This, plus the speed, about 25.5 kilometres (15.8 miles) per second, indicated that it must have originated outside of the Solar System and was passing through when it was discovered. The object crossed within Mercury’s orbit and made its closest approach to the Sun on Sept. 9. The Sun’s gravity caused it to make a “hairpin” turn, passing beneath Earth’s orbit on Oct. 19 at a distance of about 24 million kilometres (15 million miles). Now, it is leaving the Solar System again, travelling at 44 kilometres per second (27 miles per second). Such objects were theorized to exist, moving between stars, but this would be the first that one was ever actually seen. 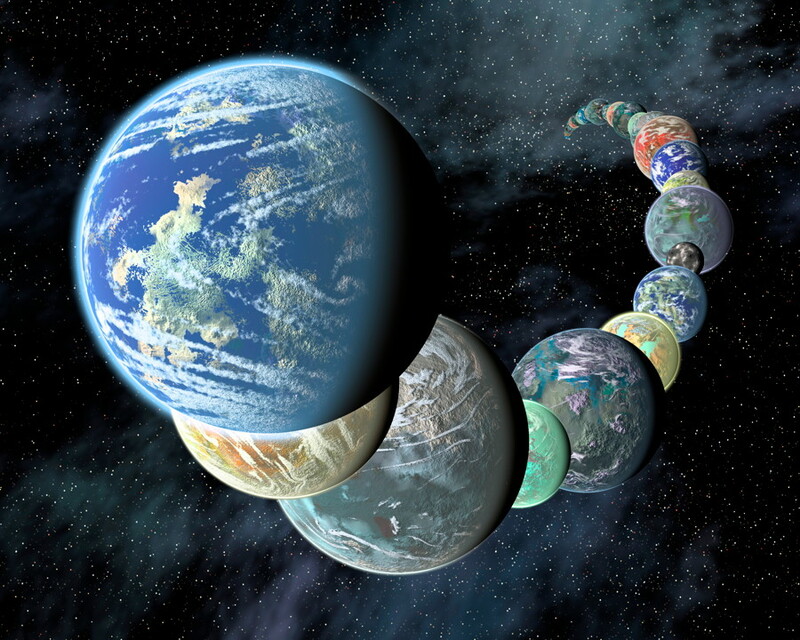 That shouldn’t be too surprising, since there is already evidence for “rogue exoplanets,” planets which have been flung out of their solar systems and now wander through in isolation. “We have long suspected that these objects should exist, because during the process of planet formation a lot of material should be ejected from planetary systems. What’s most surprising is that we’ve never seen interstellar objects pass through before,” said Karen Meech, an astronomer at the IfA. This article was previously published on Futurism. I wonder, what’s the probability of such an object going unnoticed? Is there any chance we’d have been missing some of these?